Learn more about Acupuncture & Moxibustion treatment. Learn what the treatments are, how they work, what they feel like, and how you can benefit from them. Learn more about Acupuncture & Moxibustion treatment. how they work, what they feel like, and how you can benefit from them. I am a professional, classical singer, who recently was diagnosed with partial paralysis of my left vocal cord, due to a viral infection. This condition can be devastating to a person in my business. The symptoms include severe laryngitis, which can last anywhere from six months to a year, or longer. I am convinced that my treatment at New Realm Acupuncture has significantly shortened my rehabilitation period, as medical tests (done with laryngoscope) have clearly shown rapid and dramatic improvement in the function of the vocal cord. My otolaryngologist has in fact told me that I am “lucky,” and that, based on my quick progress; I can expect 100% recovery from my condition, with continued therapy. 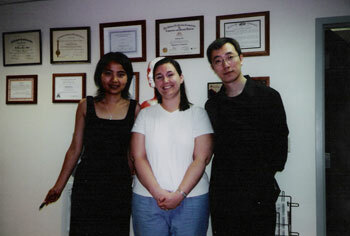 I would recommend Chinese acupuncture and acupressure to any voice professional in need of healing therapy. It is painless, very effective, and a wise investment of time and money. 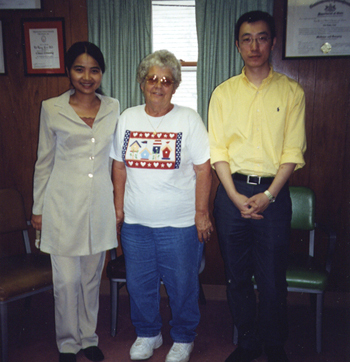 I came to New Realm Acupuncture Center after I was told by a retina specialist that there was nothing anyone could do to resolve the centra serous retimopathy (CSR) condition I was experiencing in my left eye. 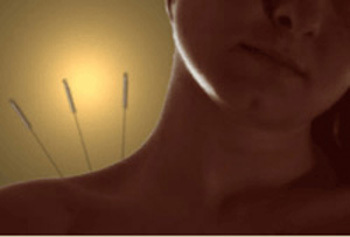 I can not say enough great things about acupuncture are the numerous benefits. Not only has my eye condition improved, despite having some the fluid still present, I have also experienced decreased fatigue, stress and anxiety. I continue to this day with acupuncture treatments and plan to make it part of my life. I recommend New Realm Acupuncture Center to anyone in need of alternative treatments!